Fascinating account of a cross-country wave flight back in 1966 in a wooden Schleicher Ka8 from Westcliffe, CO (in the lee of the Sangre de Christo Range) all the way to Cheyenne, WY. 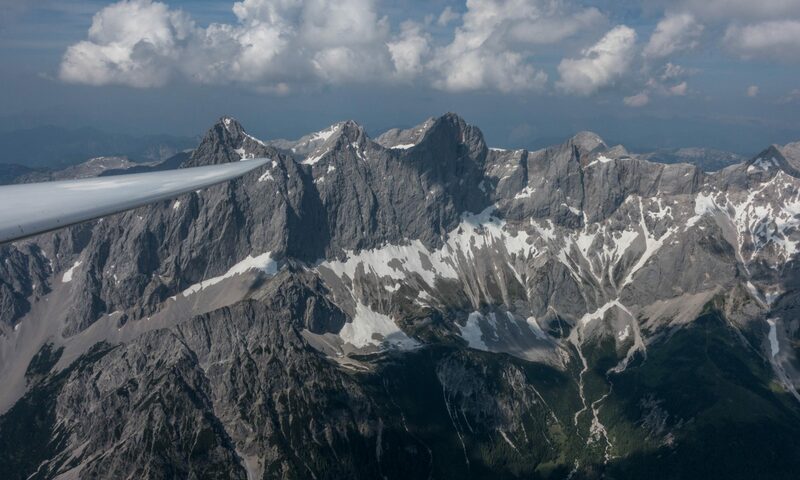 I find this flight so remarkable not just because of the plane (a low performance school glider) but because I’ve experienced myself how challenging it is to fly past Mount Evans and Longs Peak in wave lift, even in high-performance ships. I hadn’t even imagined transitioning from the Sangre de Christo Range to Pikes Peak before flying north along the entire Front Range. And if that’s not interesting enough, consider that Lou’s ship wasn’t even equipped with a proper radio and that he asked a random CB operator (look this up if you don’t know what a CB radio is) to telephone air traffic control in Cheyenne to literally obtain a “green light” to land next to a Boing 727. How times have changed! Daniel Sazhin is a post graduate student of psychology at NYU and the winner of the Club Class Nationals 2018 in Nephi, UT. Together with John Bird, a PhD student at Penn State University, he co-authored the article above, which adds a new and very important dimension to the classic speed-to-fly strategy (McCready Theory). The paper argues convincingly that pilots constantly “switch gears” between a “racing” and a “risk mitigation” mindset. McCready’s speed-to-fly works, but only when in “racing” mode. If you religiously stick to McCready your odds of landing out can become unacceptably high, especially when attempting long tasks on marginal soaring days, or when scoring well is predicated upon completing all tasks over the course of a multi-day competition. Daniel and John’s work also incorporates key insights from modern psychology theory, which not only makes it “ring true” but also allows the authors to provide practical tips for applying their findings. Very helpful!